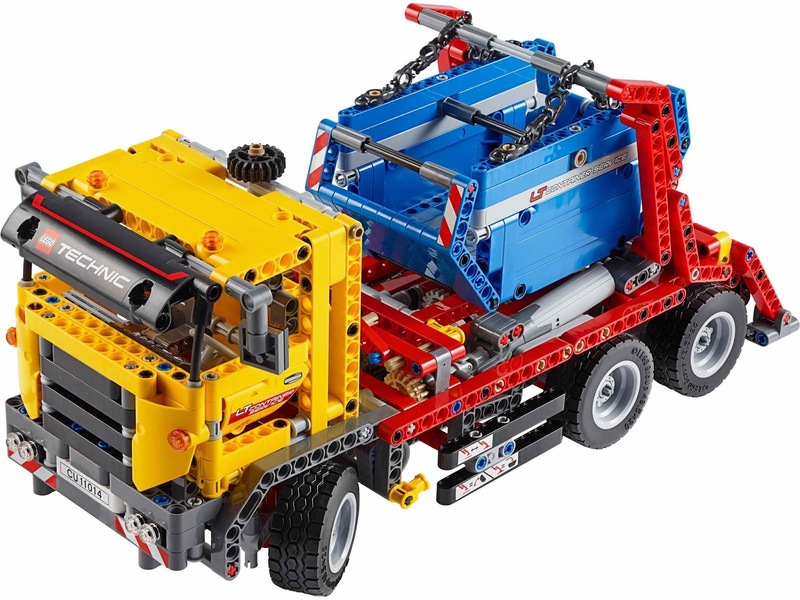 main model is a container truck. building alternative included a road grader. 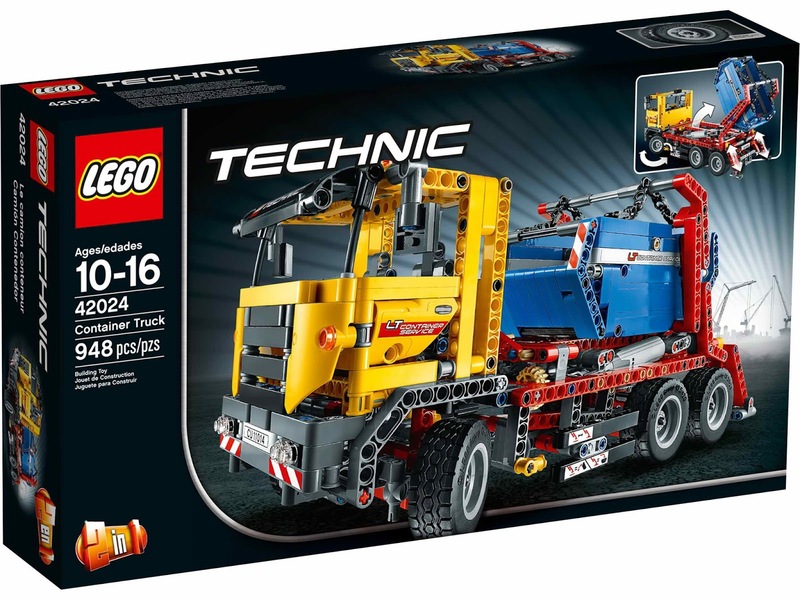 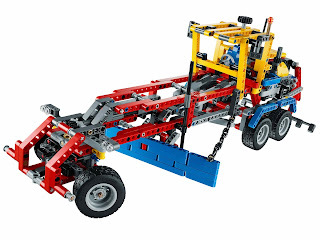 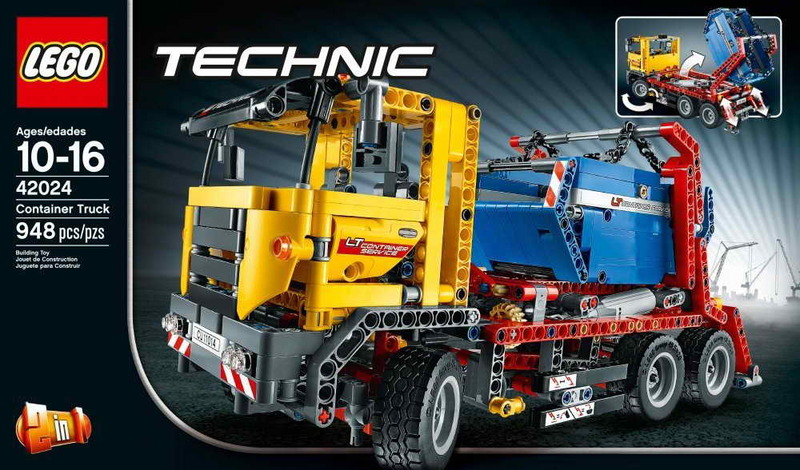 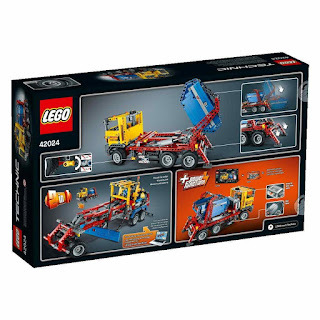 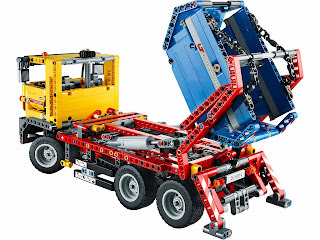 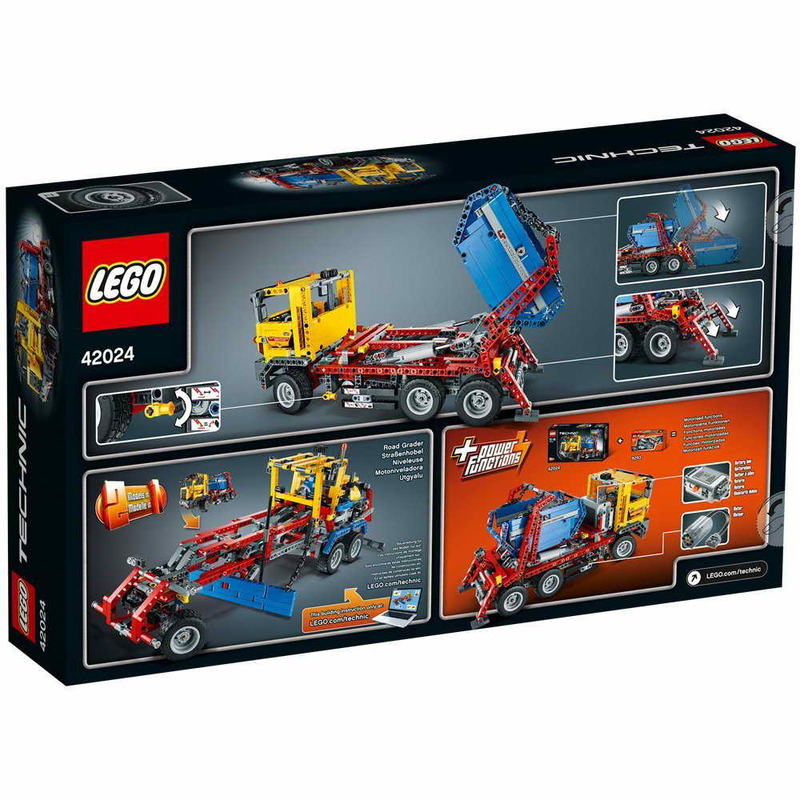 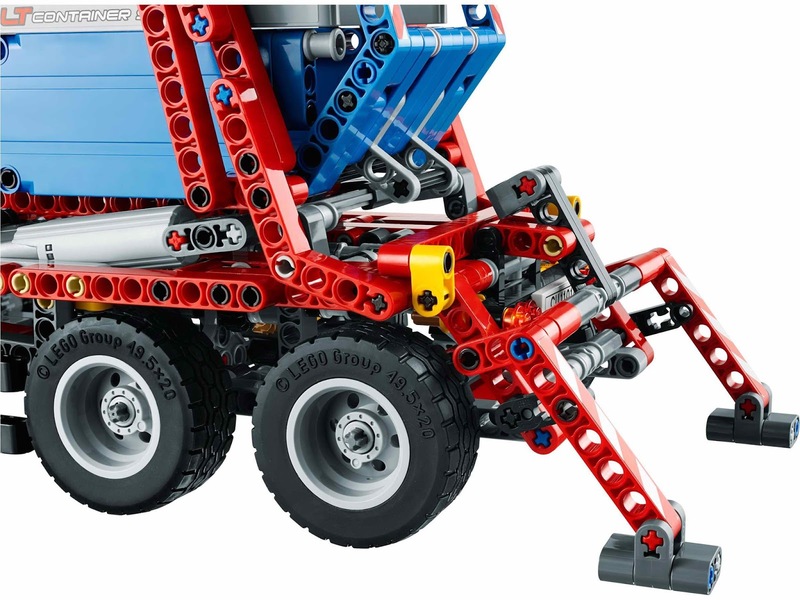 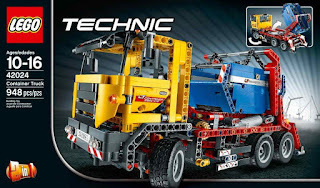 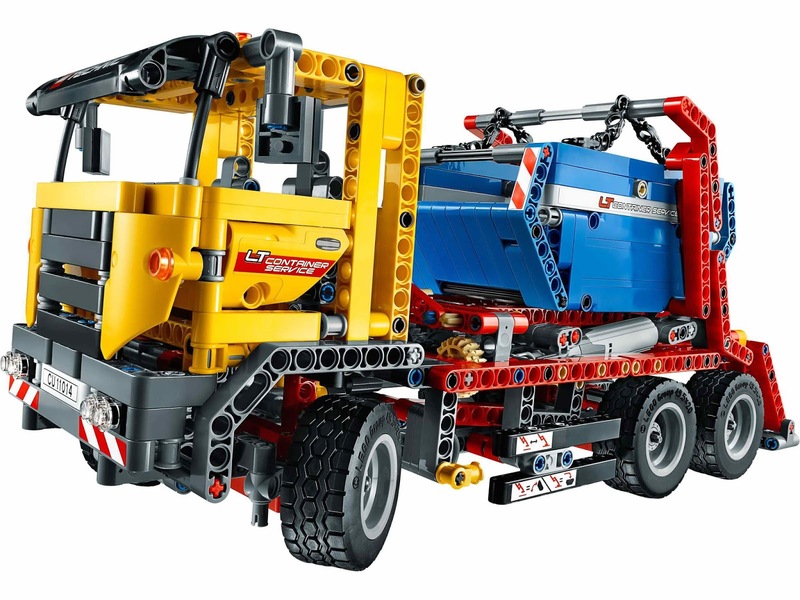 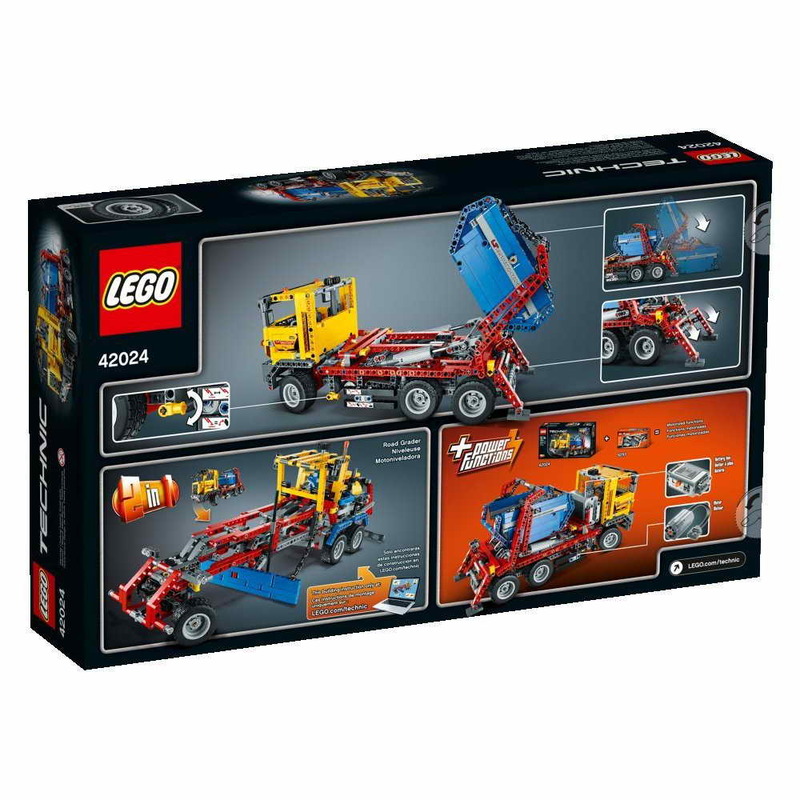 the truck come with linear actuators, a front wheel steering, supportable legs, a hinged liftable arm and a removable container box. can be combined with 8293 power function motor set for motorize the container truck.